"If you can't fly - run. If you can't run - walk. If you can't walk - crawl. 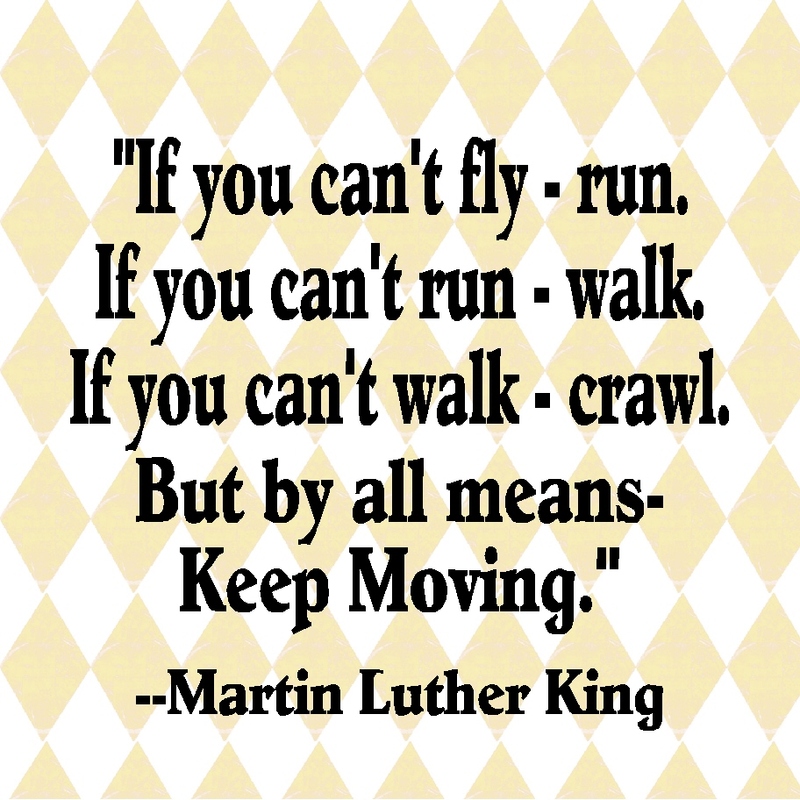 But by all means - Keep moving." This quote by Martin Luther King is a great one to keep you taking one step at a time when things get hard and the dreams seem so far away.